Welcome to the Young ICT Explorers blog. This is our chance to share with everyone some of the exciting initiatives happening around the country. 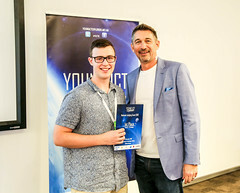 Some of you might be aware that this year is the largest Young ICT Explorers Australia has ever seen. The challenge was originally thought up back in 2008 with the first event being held in Brisbane in 2010. Now, in 2014 we will have five separate challenges in Townsville, Brisbane, Sydney, Canberra and Melbourne! The theme, as always, is DREAM BIG. We are looking to bring together an amazing generation of students that dream of creative ways to apply technology to real life challenges. Over the years we have seen incredible projects using mobile phones, maps, videos, robots, helicopters, translation services (to name a few). I’d like to make a special mention of SAP’s role in making this event happen. 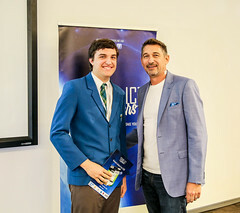 As a company they are truly devoted to empowering the next generation of Australia’s technologists. Also thankyou to the hosting universities of University of Queensland, University of New South Wales, Australian National University Swinburne and James Cook University) for bringing this all together.